No one would disagree with the fact that Apple’s new iPad is hotter than iPad 2, if not by looks, then by a number of new features including the stunning Retina display and the faster A5X processor. This heat is indeed pleasing for those fortunate users who already have the new device. 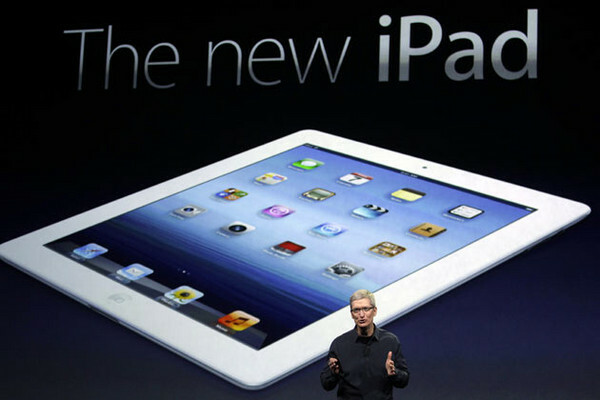 But what if you are told that your new iPad literally runs a lot hotter than its predecessor? Yes, it’s been claimed in some reports that while running graphics-heavy tasks, Apple’s newest device runs as much as 10 to 13 degrees Fahrenheit hotter than the iPad 2. On late Monday, Engadget cited a report by Dutch website Tweakers.net (translated) that claimed that the new iPad runs 10 degrees hotter than its predecessor when its improved GPU found inside the A5X package is tasked with running standard GLBenchmark for a couple of minutes. The report was accompanied by thermal imaging photos of the iPad 3 and iPad 2 put next to each other. Despite earlier reports that the Indian Government was looking for a new manufacturer to produce the world’s cheapest tablet, original OEM DataWind appears to be hanging in there. The company will ship a new version of the Aakash tablet next month that ups the specs while maintaining the same price of just over 2,000 rupees, or around $40. Like the commercial version of the Aakash, the Ubislate 7, the new Aakash features a 700MHz Cortex A8 processor and 3300 mAh battery rated for around three hours of use, and replaces the 7-inch resistive touchscreen with a capacitive one. Android Central reports that the tablet will run Froyo (though the commercial Ubislate 7+ is on Gingerbread) and possibly the Google Play Store. DataWind is pledging to produce 100,000 units, a big improvement on the 10,000 it had managed by last month, but it’s still not going to be enough. 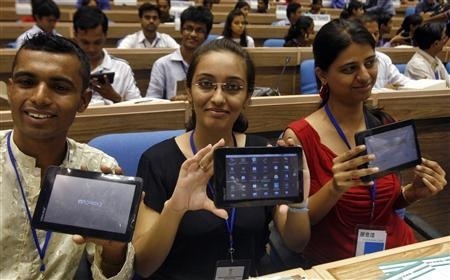 The Indian government wants a tablet for every student in the next five to six years, which is no mean feat in a country of over 1.2 billion people, and DataWind simply doesn’t have the capacity. Still, the company appears to be doing all it can to produce and improve the low-cost device. The main highlighting feature of Siri is that it is not like the traditional voice recognition software that are been found in the many Mobiles. The software in the mobiles take up the keyword and respond accordingly. There are times in which this software will find you nothing, but with Siri, you need not worry about these things. Siri understands your natural speech, and it asks you questions if it needs more information to complete a task. Siri which is found in the new iPhone 4S uses the processing power of the dual-core A5 chip and uses 3G and Wi-Fi networks to communicate rapidly with Apple’s data centers. So Siri can easily understand what you are saying and can respond quickly. 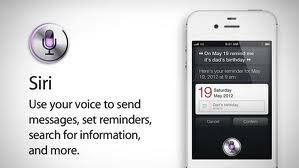 Siri can be used just be speaking through the microphone and can also be used with headphones and Bluetooth headsets. Which apps does Siri work with? – Local search with Yelp! The application is capable of doing all things, right from setting your alarm clock, to finding a good local shop to playing a DJ with your music. Siri, is restricted to few websites but can bring any number of web results. Siri can understand conversational English and reply according to what you have saved in your mobile. For instance, if you are asking, whats going on today, Siri will simply reply you back according to the data stored in your calendar. The application can also dictate all your messages, mails and other texts for your convenience. Siri can also be used by visually impaired users with voiceover.